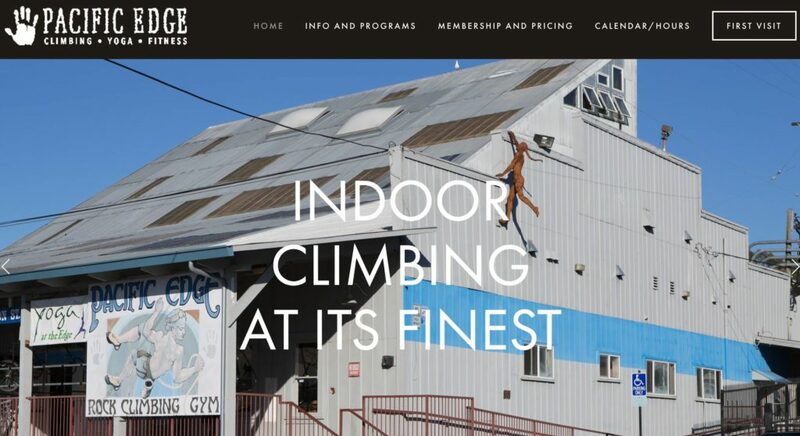 Pacific Edge Climbing Gym offers world class rock climbing, yoga and connectivity to the global rock climbing community. One of their own built their website, and they brought us on board to do some custom integrations to their Squarespace site, and to design a bunch of new materials. We are currently designing all new calendars for the community and website, as well as interior signage for inside the gym. In between design revisions, we hope to get some bouldering in as well!